As Max Verstappen surged down the home stretch to clinch his second win of the season at the Mexican Grand Prix last month, you couldn’t help but wonder what was going through his teammate Daniel Ricciardo’s head. The Australian had just suffered his eighth retirement of the season – more than any driver – and had not finished on the podium since securing victory at the Monaco Grand Prix back in May. At that early point of the season, Mercedes and Ferrari were circling for his signature, but instead he raised eyebrows by opting to sign for Renault in August. Apart from the opportunity to challenge for a race win, there was no real upside for Ricciardo remaining at Red Bull, racing alongside the team’s undisputed number one driver, in Verstappen. Although the 21-year-old has had more success than Ricciardo in his four seasons in F1, he has only really started to show a run of consistency in the championship in the second half of this season – after retiring twice in the first four races. The Dutchman has out-qualified Ricciardo in 14 of the 21 races this year and holds a 79-point lead over his teammate in the drivers standings (Verstappen is fifth, one place above the Australian). 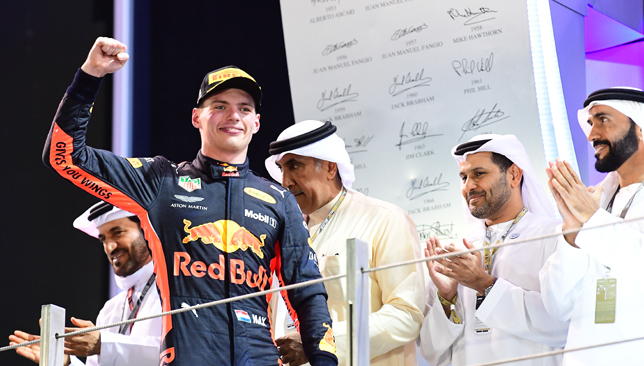 Both drivers have enjoyed two wins each in 2018, but Verstappen has been on the podium eight more times. Red Bull may not be genuine championship contenders now, but in Verstappen, they possess one of the most popular and talented drivers on the grid, a man looming behind Sebastian Vettel and Lewis Hamilton as a future world champion. The 21-year-old is already being paid more than Ricciardo, reportedly $10 million against the Australian’s $6m – despite racing in 69 less Grand Prix than a teammate eight years his senior. Ricciardo, who turns 30 next July, wanted a big payday and got it, with a reported $70m deal over two years from Renault. Whether escaping the shadows of the emerging Verstappen is a promising move for his ambitions of being a future world champion, it is unlikely he will taste much success at the French outfit, a team who have not secured a podium since the Malaysian Grand Prix in 2011. There is no guarantee either that Ricciardo will slot straight into the Renault and be able to challenge the big three, especially with his new teammate Nico Hulkenberg producing some solid performances this season and still unable to threaten a top-three finish in a mediocre car. Without a podium since May, adding to his litany of retirements due to an unreliable car, Abu Dhabi is the last chance for Ricciardo to walk on top of the steps and celebrate a top-three finish in his 100th and final Red Bull race. You rarely see the Perth man make a driving error, which is down to his experience behind the wheel, but a middling car like the Renault can only do so much to help his chances of challenging the Mercedes, Ferraris and, from next season, the Red Bulls. Verstappen, meanwhile, has two more years remaining on his contract at Red Bull, by which time he should be at a stage to genuinely challenge for the championship. And if the Red Bull is struggling, he is sure to have the option to join a potential winning team in Mercedes or Ferrari. His five race wins and 22 podiums at the age of 21 speak volumes for a driver who is brimming with confidence and has aspirations of reaching the pinnacle of the sport. He has aggression, confidence, superb race craft and a ruthless attitude needed to secure podiums on any given day. His talent is peerless but, at times, can be pushed into the spotlight for the wrong reasons. He clashed with Hamilton in Bahrain, hit Vettel in Shanghai and then forcibly shoved Esteban Ocon in Brazil two weeks ago. Mistakes are bound to happen along any journey and the only way for the young driver to improve is through racing. Verstappen is his own man and practice will help his steady improvement on and off the track. He loves to speak his mind and doesn’t ever hide his emotions after a race, traits that are admirable in an era of media-trained sports stars and are sure to stand him in good stead for a future title tilt. 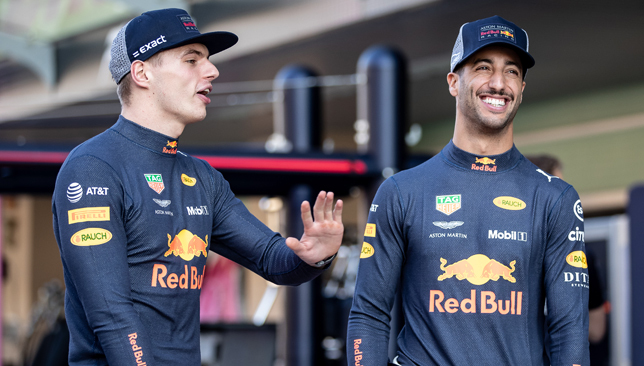 When Verstappen and Ricciardo leave Abu Dhabi for their base in Monaco on Monday, they will no doubt reflect on this long season and what lies ahead for them in 2019. Verstappen is young, fearless and improving each season, but for Ricciardo, the opportunity to challenge for glory looks to have passed with his move to Renault. 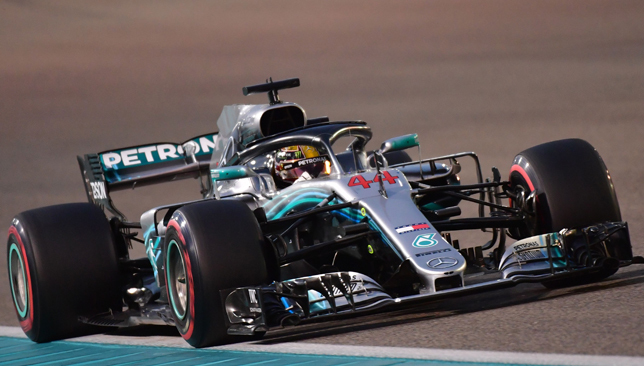 World champion Lewis Hamilton finished his season on a high on Sunday when he roared to an imperious victory at the Abu Dhabi Grand Prix. The 33-year-old dominated from start to finish, save for a spell during the mid-race pit-stops, as he registered a record fourth win at Yas Marina Circuit. It was the 73rd victory of his career – only Michael Schumacher on 91 has more – and came from his 83rd pole. Here, we take a look at the key talking points from the season-ending race in the UAE capital. It feels like repetition every week but the Briton has simply been the superior driver and not even someone of Sebastian Vettel’s calibre has come close to him in the second half of the season. 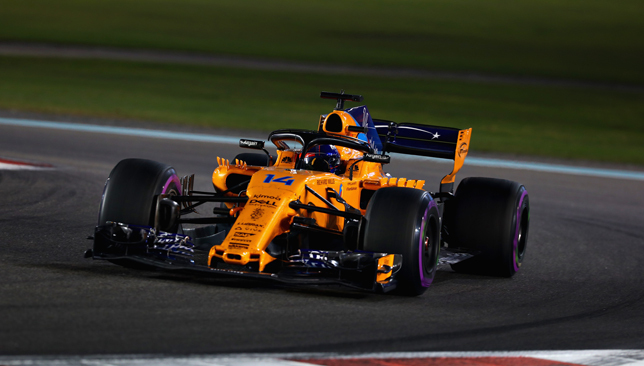 The Briton clinched his 11th win of the year and looked a class apart as he drove solidly under the bright lights at Yas Marina. Starting on pole, he pitted on lap seven, and after regaining the lead on lap 34, drove solidly to hold off Vettel and Max Verstappen and seal his sixth victory in the last eight races. Judging by the way Hamilton has been driving in recent months, it looks likely he will win a sixth championship next year. Vettel will no doubt up the tempo in 2019, but it is unlikely he will be able to stay consistent across the entire season. Double world champion Fernando Alonso brought the curtain down on his glittering F1 career with an 11th place finish. The 37-year-old, who will race in the Indy 500 next year, was unable to finish anywhere close to the points but still raced admirably in his final race. The Spaniard is leaving F1 after 17 seasons as he attempts to secure the ‘Triple Crown of Motorsport’ next year after winning the Monaco Grand Prix in 2005 and 2006 and the Le Mans 24 Hours with Toyota in June this year. His decorated career has included 32 wins, 22 pole positions, 97 podiums and world championship triumphs in 2005 and 2006, although he has not finished on the podium since joining McLaren in 2015. With nine top-10s this campaign in a poor McLaren car, Alonso bows out of the sport as one of the all-time greats. 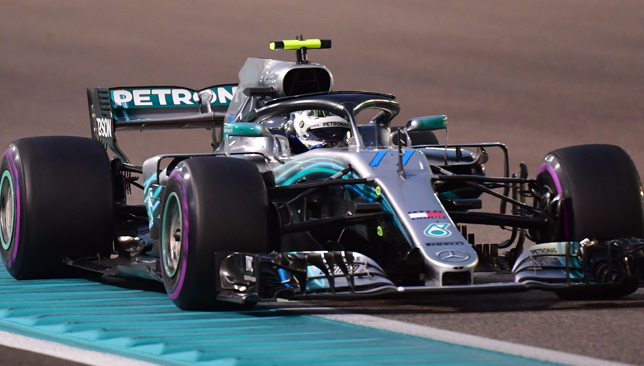 The world title battle may have been a two-way duel between Vettel and Hamilton, but Valtteri Bottas could have been in the thick of it but for bad luck. In France back in June, he was taken out by Vettel at the first corner and then two weeks later in Austria he was forced to retire after 13 laps due to mechanical failure. That was 24 points lost in the space of two weeks, valuable points that could have seen him finish above Kimi Raikkonen in the drivers standings. Starting from second on the grid in Abu Dhabi, it looked like he would sign his season off on a positive note with a podium. 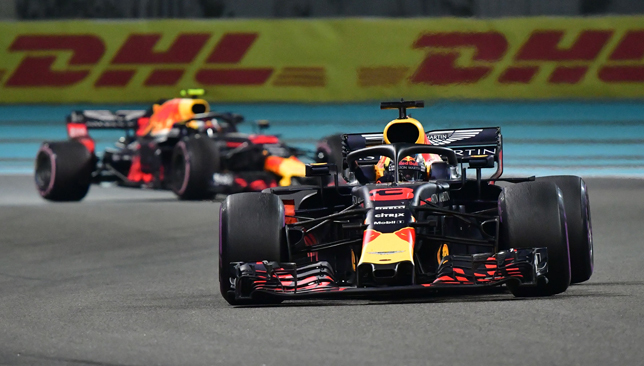 But an issue with his rear right tyre after lap 35 saw Daniel Ricciardo and Verstappen overtake him and the Finn was forced to settle for a disappointing fifth place. 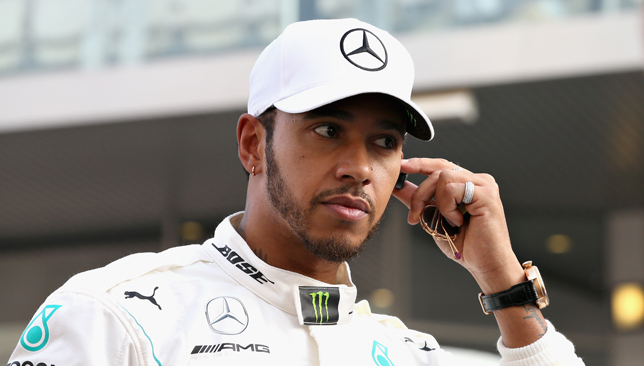 Without victory in a car where Hamilton has won 11 times, he may struggle to convince Mercedes he is worthy of an extension after 2019. The Nastola native needs to come out firing in Australia next March if he is to prove his worth in the best seat on the grid. Nico Hulkenberg was involved in a scary incident on the first lap when his rear tyre clipped Romain Grosjean’s front left. It forced his Renault car to roll around and the German needed the stewards to help flip the car over in order to get out. It was worrying to see the 31-year-old trapped and raised some questions about the ‘halo’. It prevented Hulkenberg from getting seriously injured but if the car had caught fire, he wouldn’t have been able to escape easily. That’s one of the worrying aspects of the halo. Although it protects the car from flying debris, it prevents you from getting out of the car quickly. Luckily, the 31-year-old was able to walk free. 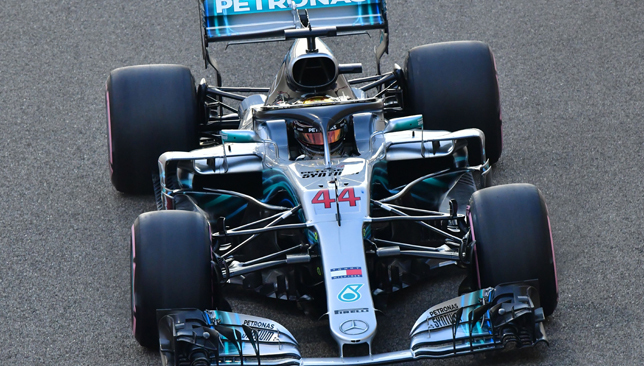 Lewis Hamilton completed one half of his vow to end his championship-winning campaign in style as he put his Mercedes on pole position for the season-closing Abu Dhabi Grand Prix. Hamilton, who closed out his fifth title with two rounds to spare in Mexico last month, will be joined on the front row by Valtteri Bottas, with Sebastian Vettel and Kimi Raikkonen third and fourth for Ferrari. Fernando Alonso is ending his 18-season career here in the desert on Sunday, and in his final Formula One qualifying session, the two-time world champion finished 15th. “It was quite an emotional qualifying session, because it is the last time I will qualify in this car,” Hamilton said. “I am the closest to this car than I have been to any others. It has not always been easy, but it has been a real privilege this year. “To go out there and express yourself, and push the car the way you want, there is no better feeling.